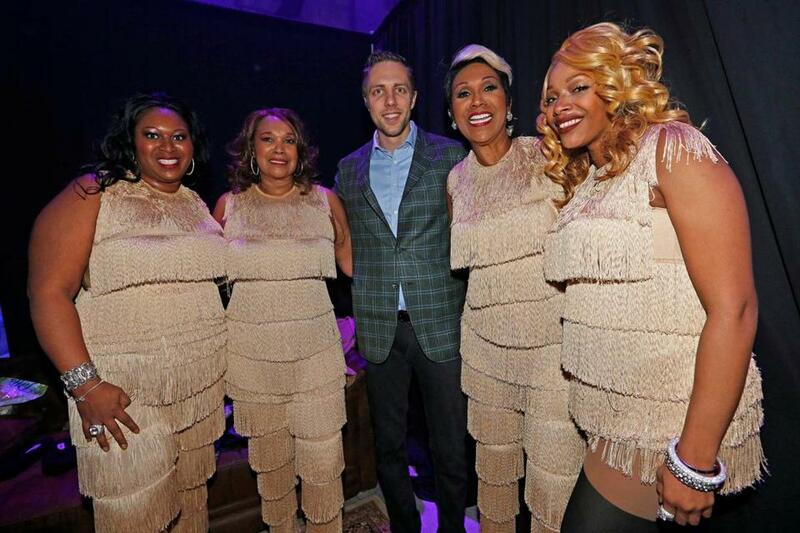 EF Education First CEO Edward Hult backstage with the Pointer Sisters. Friday was a big day in the history of EF Education First, the for-profit education company that just opened a massive new complex in Cambridge. The Swedish firm, which started with just three workers and now employs more than 37,000 people in dozens of countries, celebrated its 50th anniversary with a series of events in Boston that included speeches at the Hynes Convention Center by former President Bill Clinton, former British Prime Minister Gordon Brown, and governors past and present Deval Patrick and Charlie Baker. We’d liked to tell you what they had to say, but the event, called A Day With World Leaders, was closed to the press and the public. (Who did attend? EF Education First CEO Edward Hult, of course, and some 2,500 employees, students, and teachers from EF’s Boston Language School and the Hult International Business School.) Other speakers included Apple cofounder Steve Wozniak, Indian actress-singer Priyanka Chopra, former Australian Prime Minister Julia Gillard, and, via video, former Russian President Mikhail Gorbachev. The celebration continued with a party Friday night at the Delta hangar at Logan Airport. We’re told the space was outfitted with a replica of a Swedish birch forest to represent Lund, where the company was founded, and another area made to look like Brighton, England, the destination of the first EF tour group of Swedish students. Guests were treated to a Swedish buffet of salmon, herring, and creamed potatoes, as well as English pub fare like beef Wellington and Yorkshire pudding. After dinner, guests sauntered into a 1960s-era EF disco where the Pointer Sisters performed. Members of the Hult Family, former British Prime Minister Gordon Brown (second from left), Priyanka Chopra (third from left), and Apple co-founder Steve Wozniak (kneeling) were all in attendance at the EF Education First event.